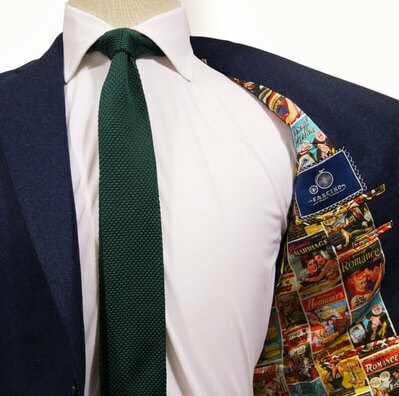 Apart from buttonholes and colours of suit buttons , here is another tips on how to customise suits & suit blazers, is to customise the ‘interior’ part of the blazers — the suit jacket lining. Step 1) But first, what is “Lining”? Lining, is a separate layer of silky fabric constructed inside the suit jacket (the interior part). 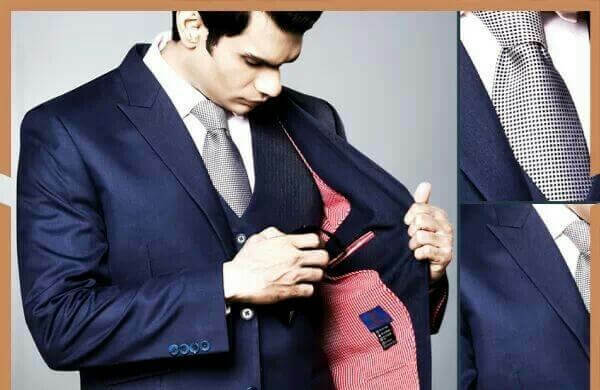 See the picture below, the purple part of the grey suit jacket on the left is a lining part. Hide raw edges, internal darts and seams. Length of lining – fully-lined, half-lined, and unlined. Another concept you need to know about lining is the length of the lining. 3 typical linings are fully-lined, half-lined, and unlined. Fully-lined: arguably the most common form of suit jackets. Fully-lined jackets have lining on the upper half of the back, down the sides of the jacket, as well as the lower part of the back. Half-lined: Half-lined suit jackets have lining on the upper half of the back and down the sides of the jacket. There is no lining on the lower part of the back. Unlined: Unlined jackets, they have the same fabrics/ materials inside and outside the jackets. Don’t mix up lining with “interlining”. If you decide to go with fully-lined, or half-lined, you’ll then go and choose the texture and materials of the suit lining. Rayon: Rayon (cupramonium rayon in particular, or sometimes referred as “bemberg”) is another commonly used fabric for suit jacket lining. Rayon is a kind of made fibre, composed of synthetics. The appeals for rayon as interlinings are: adhesive, elastic, shrink-resistant, good elasticity, and economical. Cotton: Yes, cotton can be used as suit jacket lining as well. Lightweight cotton fabrics, sometimes also called voile, batiste, or lawn, are ideal lining fabrics for summer suits jackets/ blazers. Cotton is breathable, and lighter in weight. The problem with cotton could be easily getting wrinkles. The traditional (of most common) way to choose a plain colour of lining. Which colour to go for the suit lining? A conservative pick would be “silver” and “navy blue”. Another idea is to choose the colour same as your last button holes’ (in “How to customise your suit – Part 1”, we discussed you don’t have to pick same colours of all button holes on your suit jackets. Pick a different colour for your last button holes). If plain colour is too boring, you can also go for designers’ lining. 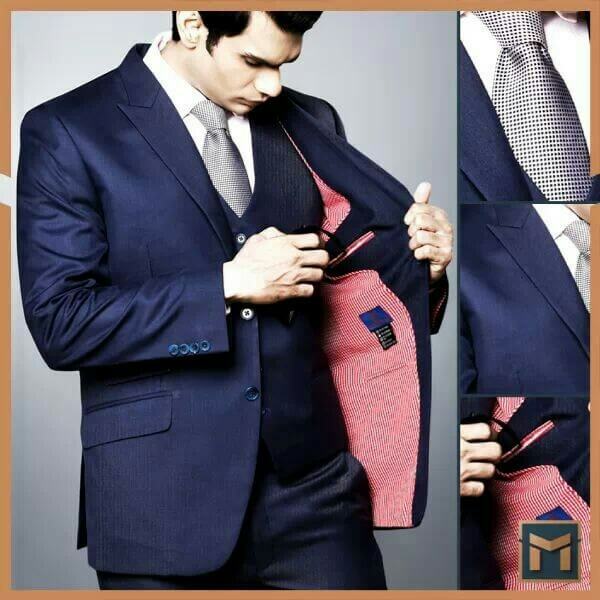 You can now find many different designers’ suit lining, such as by Huddersfield, in many tailor shops in Hong Kong. (Suit jacket lining by Huddersfield. Photo credit: Fascino Bespoke).